Athletic Bilbao suffered a Champions League hangover as their much-changed side slumped to their third defeat in four league games following an appalling defensive lapse that allowed the young Colombian Jhon Córdoba to score the winner after 39 minutes. Córdoba’s first goal for Granada came after he seized upon Ander Iturraspe’s complacent nonchalance on the ball forty yards from the Bilbao goal to drive towards goal and nutmeg Gorka Iraizoz. Córdoba’s first start of the campaign alongside the young Success Isaac in attack was Granada’s fourth different strike-partnership in as many games. One man who was sidelined by this latest experiment was Darwin Machís who, despite starting in the opening game of the season and being a half-time substitute last week, was demoted back to the B side to play in their 1-1 away draw against Cádiz. Granada’s reserve side compete in Segunda B’s Group 4 (of 4), so to call this the Spanish third-tier is debatable given the variance in quality from the top of each group to the bottom. Nevertheless, as he did not play, one hopes to be forgiven for not giving a more comprehensive report of the first-team’s match, though should you to wish to read one, please click here. Espanyol will feel hard done by as they would have fancied their chances against the last side they managed to beat in the league (albeit all the way back in March) and they did edge the number of chances, particularly within the first half. Indeed, the less radical of Catalonia’s two top-flight sides looked sharper and in the early stages took advantage of what is becoming worryingly characteristic slack tracking and disorganisation from Málaga’s back line. After just six minutes, Espanyol captain Sergio García pressed at pace to take advantage of poor passing between Sergi Darder and Roberto Rosales – who started, with his compatriot Juan Pablo Añor not in the squad – in their own defensive third. Under duress, Rosales hesitantly nudged it short to Málaga captain Weligton on the edge of the area but his desperate recovery-slide merely fell to Víctor Sánchez who forced his way into the area before shooting low at Carlos Kameni. Málaga did not heed warnings such as this and on 16 minutes were punished, with García again causing problems – this time being the architect of the opening goal. He ran infield with the ball from the right of the area, played a quick one-two with Madrid-loanee Lucas Vázquez and, from a central position just outside the area, found a gap to play through Ecuadorian Felipe Caicedo, playing against his former side, whose deft footwork grounded Kameni, leaving a vacant goal to tap into. Right-back Rosales was one of a few defenders who did not seem entirely sure where he should be during that attack as he ran out to a central position, though credit must be given to García for such defence-bamboozling movement. Rosales, though to not to the same degree as he did against Levante, offered more going forward and ten minutes after the goal received a dinked ball from Darder on the right of the area which he fired across the goalmouth. This caused problems for goalkeeper Kiko Casilla, whose parry outwards fortunately did not fall to an attacker. Despite this rare glimpse of hope for the away side, Espanyol nearly got a second after 36 minutes, following a corner from Vázquez. His cross swung to the back post with both Kameni and Rosales missing the ball and García, who anticipated it a mile off, headed it just wide – though had he stepped back a yard or so he may well have been in a better position to profit from this goalkeeping error. Kameni also received some criticism in certain quarters for supposedly going to ground too early for the goal so it will be interesting to see if he keeps his place in the line-up in upcoming weeks, as Guillermo Ochoa is always waiting in the wings. In the opening stages of the second half, not a great deal had changed but irrespective of what level a team is playing at and who their opposition are, there is always hope from a set-piece. Indeed, out of nowhere, Los Boquerones got themselves back into the game in the 53rd minute when Luis Alberto’s corner was nodded into the back of the net by the unmarked Igancio Camacho. Espanyol attempted to prove this was just a temporary blip in the natural order of things and just eight minutes later came close to regaining the lead following a corner won after Vázquez’s free shot on goal was parried out by Kameni. From the resulting cross, half-time substitute, the Uruguayan forward Christian Stuani, headed onto the bar. As the ball came back out, Salva Sevilla (who had been brought on two minutes prior) and García may have got in each other’s way as it fell further away from goal towards the inside-edge of the area. However, the drama was not over as Diego Colotto, back-to-goal, attempted to hook the ball over his head into the danger zone but it was blocked by the high arm of Rosales. The former FC Twente man knew exactly where the ball was, having his eyes on it as he leaped, thus bolstering any claims that it should have been a penalty, though apologists will surely claim that his turn away at the last moment proves his innocence and that it was accidental as he was possibly fearful of Colotto’s right boot connecting with him. As the game wore on, things did become more tense for the visitors as they picked up five yellow cards in the final 30 minutes and watched Espanyol have more chances to regain the lead. Indeed, Stuani was played through by García in the 79th minute, though Kameni was out to block the forward’s nudged attempt with his legs and then, just a minute later, the Cameroonian goalkeeper was to save comfortably from a header from Salva Sevilla following a corner. However, there was nothing Kameni could do about Stuani’s header with two minutes to go. The Uruguayan may have long played fourth or fifth fiddle on the international stage to his nation’s other impressive attacking options, but he must have been elated to score here what felt like the headline-grabbing goal, nodding in from a free-kick on the right, having lost his marker Sergio Sánchez. Ultimately though, it was not to be as Espanyol were to be denied their first league victory in six months as 67th-minute substitute Duda curled a textbook free-kick into the top right-hand corner in the fourth and final minute of stoppage time. 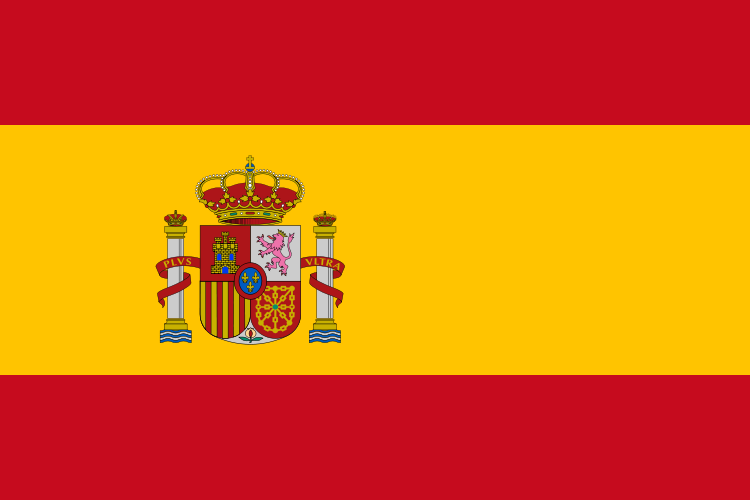 This entry was posted in Spain, Venezuelans Abroad and tagged Andres Túñez, Darwin Machís, Europe, Juan Pablo Añor, La Liga, Roberto Rosales, Spain on September 23, 2014 by hispanospherical.